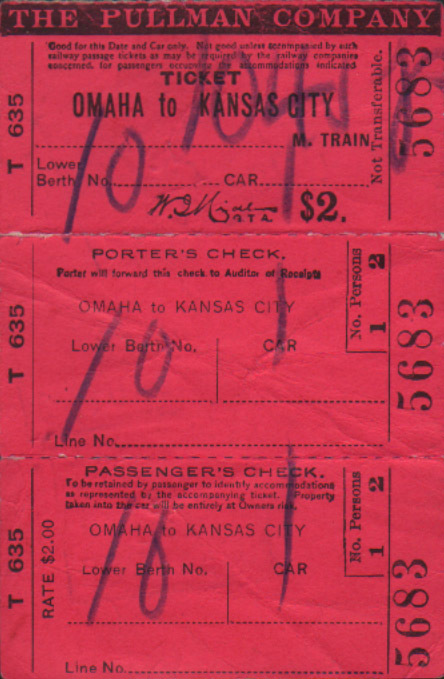 Description Vintage 1908 Pullman Ticket from Omaha to Kansas City. 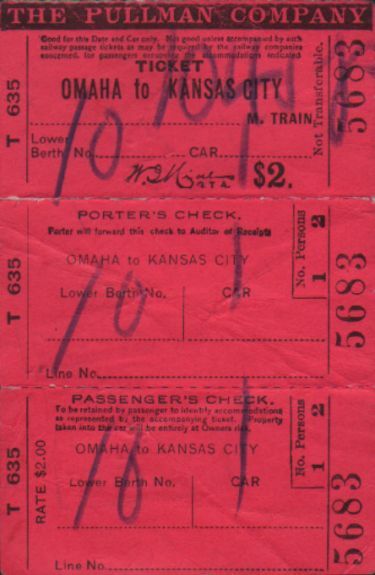 Includes the Ticket Coupon, Porter's Check (Extremely rare!) 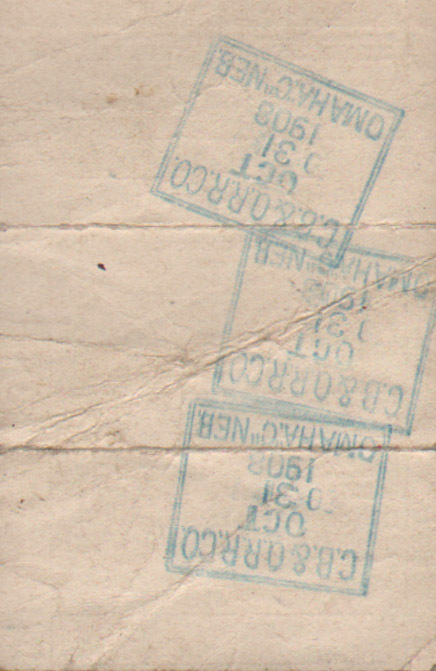 and Passenger's Check. Only missing The Agent's Stub.